O.K. this is going to be a short post, but you must watch this video. 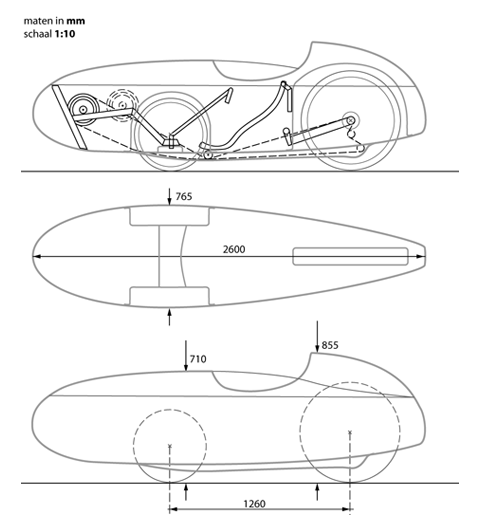 The people at Tri Sled have been working on a four seat velomobile concept and have just released a video. This may be one of the coolest things I have ever seen. Right on the heels of the ROAM(Roll Over America) tour, in which 50 to 60 velomobiles and ran a tour from Oregon to DC, comes the Euro Tour 2013. Registration has been opened as of March 6th on what originally was conceived to closely emulate ROAM. The Euro Tour 2013 is currently scheduled to take place starting July 22, 2013 and currently has 2500km of route mapped out, with 100 to 150 km daily distances. As of this writing it has participants coming from 15 countries bringing 33 different types of velomobiles. It now looks to run through the Netherlands, Belgium, Switzerland and Germany, where volunteers have now adopted two thirds of the route to take place. Take a look at the official website for the Euro Tour. They are looking for participants and sponsors. So even if you don't intend to ride, look into a sponsorship. The site has loads of information, a map of the route as they update the adopted path, registration information and much more. Keep watching for updates about Euro Tour.